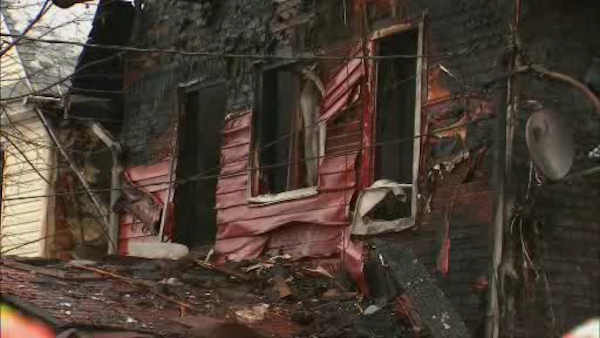 JAMAICA, Queens (WABC) -- Firefighters battled a two-alarm fire that swept through a home in Queens Saturday morning. The fire broke out shortly before 9 a.m. at a two-story home on 115th Avenue in Jamaica. The fire extended to adjoining property and caused damage. 106 firefighters and 25 fire units responded to the scene.